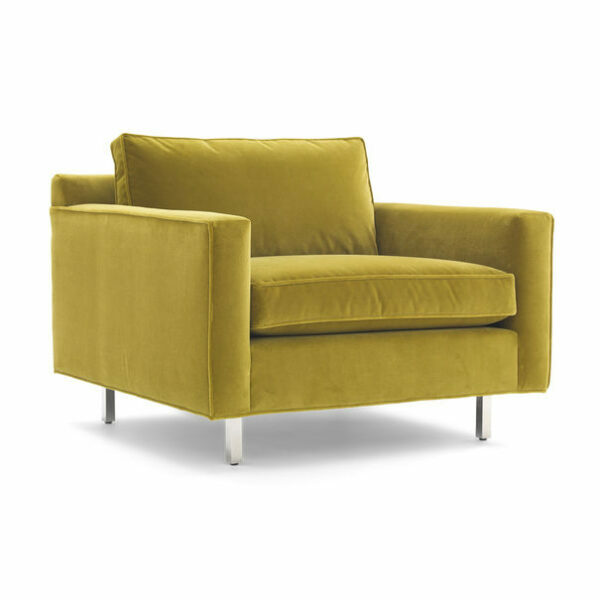 From the Hunter Collection, this low and luxe modern chair with room for relaxing. Lush seat and back cushions make it especially comfortable. Pair it with its matching ottoman for the ultimate lounging spot. Available in additional fabrics, inquire for customization.